Lost: May 2009 contest 1st place winner! Breaking dawn by Stephenie Meyer (Twilight saga), 1st book - Bella. Kate as Bella, Sawyer as Edward. Lost: May 2009 contest 3rd place winner! Sawyer Crusoe is the lone survivor of a shipwreck. Full description on YouTube. 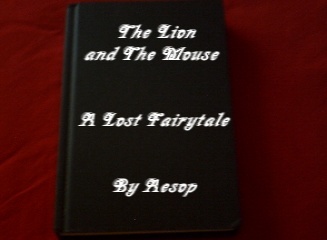 Lost: May 2009 Contest Submission.Lost version of Aesop's fable with Ben as the Lion and Kate as the mouse. Contest: "And the story goes on..."
Before story-tellers made videos, they wrote books. And these days our favourite novels are turning into blockbuster movies. So, this month we want the same thing -- but in vidding form. Pick a fictional book and re-tell the story with our losties! Any genre! Any book! Also, you don't have to tell the whole story if you don't want to, telling just a part of it is alright too. For example, the final scene of Twilight Book 1 when Bella finds out it's not her mother that's in trouble. As long as you're re-telling a story or part of a story from a fictional book; you're in! Now just because we're asking for a story, doesn't mean you have to make an audio filled video. There are more than plenty of videos on LVI that tell stories without or with little audio. However if you want to, you can, no worries! We're just saying it's not a requirement. � - Re-create a story or part of a story from a fictional book with the losties. � - No text from the book as overlays or title cards (such as in trailers), please. We're asking for the video, audio and music to carry the story. � -When entering your video on the Submit page, you MUST enter "May 2009 contest submission" exactly in your vid's description. � - Please do not use Megaupload, Rapidshare or Yousendit as your only link to host your files. � - Keep in mind that however you choose to host your video, it must be available for viewing at least until the end of the contest. If we can not access your video at the time of judgment it will not be considered.